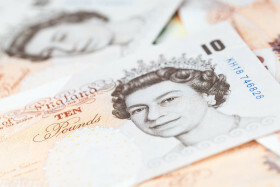 The Great Britain pound fell against other most-traded rivals, even the weak Japanese yen, after official data showed that retail sales declined last month. The Office for National Statistics reported that retail sales declined 0.9% in December compared with the previous month. Analysts had predicted a bit smaller decline by 0.8%. Furthermore, the November increase of 1.4% got a negative revision to 1.3%. Experts argued that the data suggests that consumers became more cautious due to Brexit worries. GBP/USD dropped from 1.2984 to 1.2941 as of 10:53 GMT today. GBP/JPY slipped from 141.84 to 141.59.